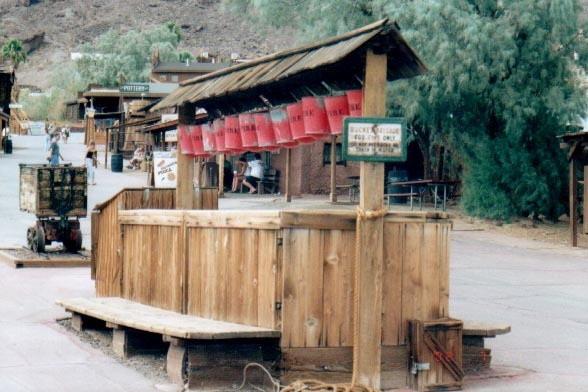 More than a 100 years ago, the town of Calico was bustling with prospectors. 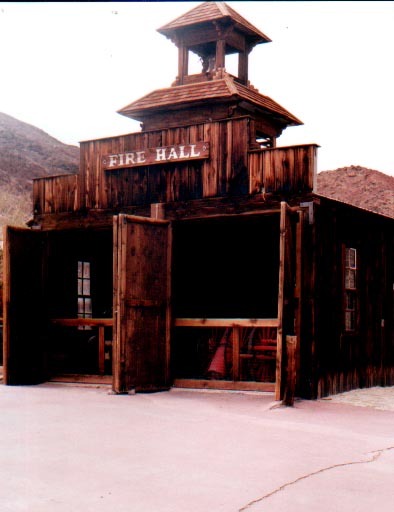 Founded in March 1881, it grew to a population of 1,200 with 22 saloons and more than 500 mines. 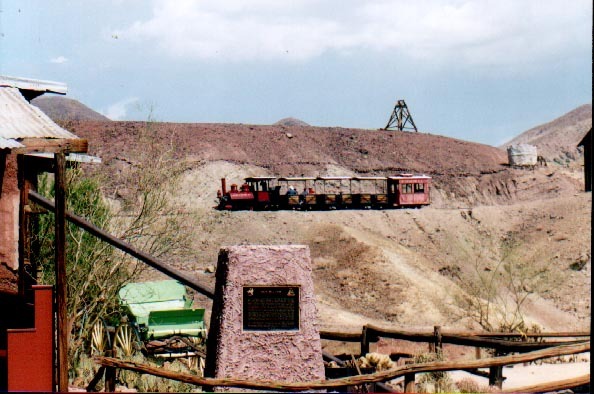 Silver was king, and the Calico Mining District became one of the richest in California, producing silver, borax and, gold. 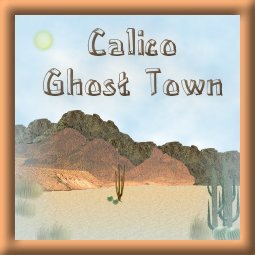 After 1907, when silver prices dropped and borax mining moved to Death Valley, Calico became a ghost town. Today, one third of the town is original. 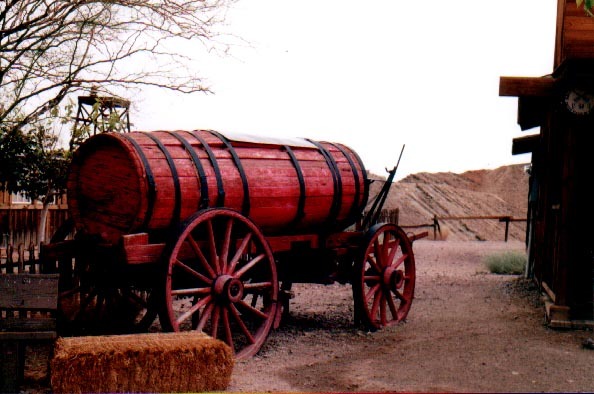 The rest carefully reconstructed to recreate the "spirit' of Calico's Old West past. You can click on the thumbnails to view the larger pictures. 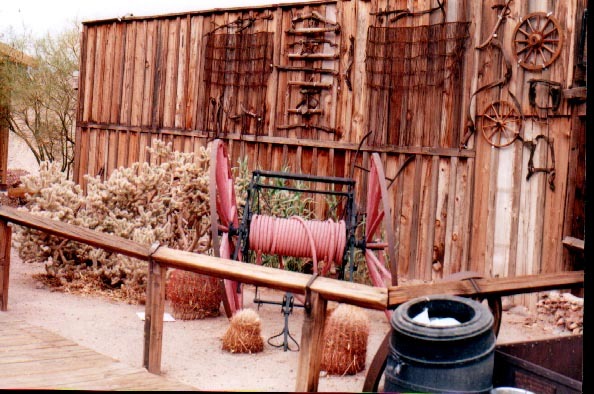 Here's the fire hose and the water wagon. 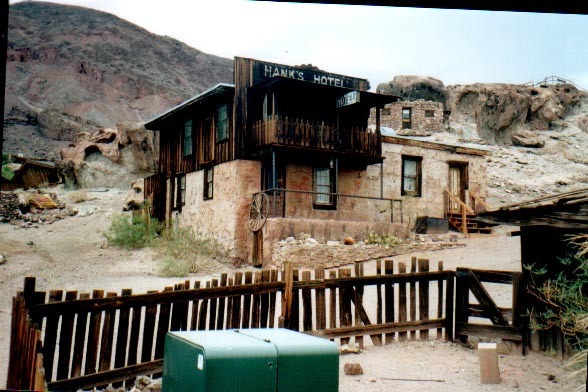 On the hill is the famous Hank's Hotel. 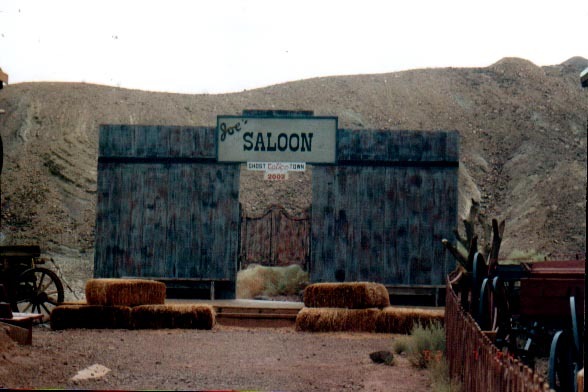 And I don't know about the drinks at the Saloon but the first steps a killer. . . 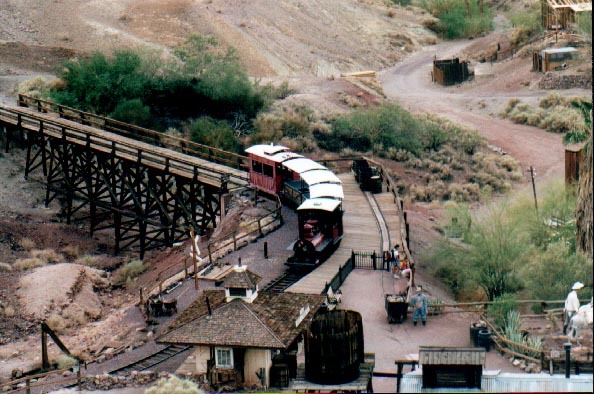 Here are a couple shots of the train. This is me - Terri Lynn and my brother Shane. Sorry ladies. . . he's taken!